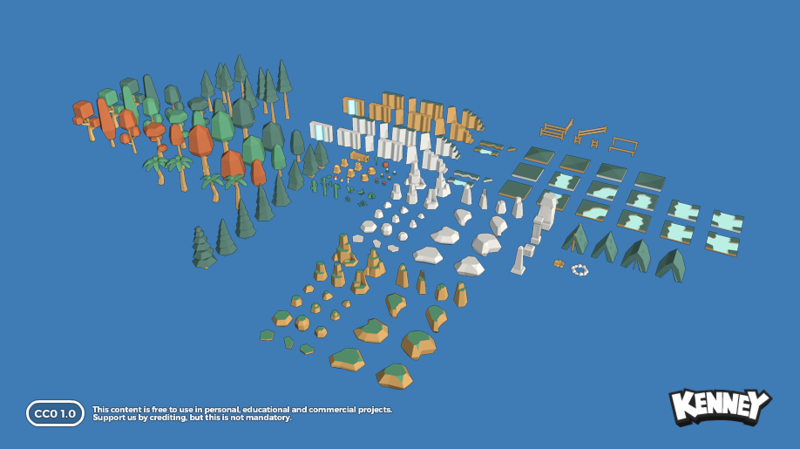 The extended version of the Nature Pack adds new trees, foliage, rocks and other structures and objects. Kenney, you are absolutely the BEST! You are, I think, the strongest pillar in this community. Thank you very much for all your hard work. I bought the original Game Assets pack, and now I'm definitely gonna buy the second one! 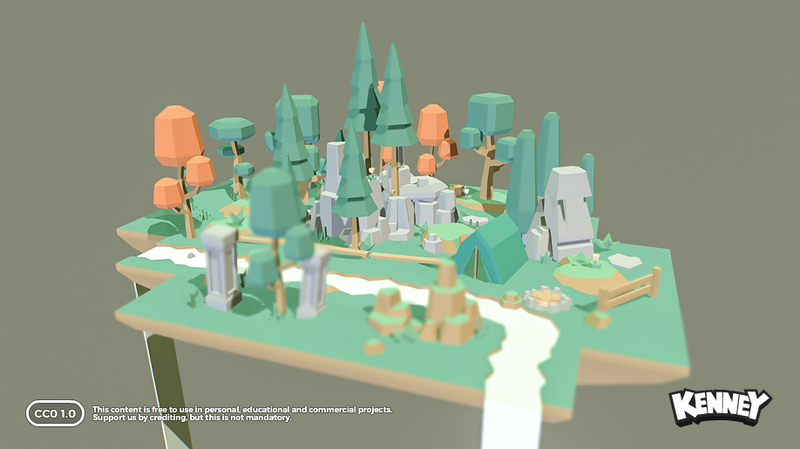 Btw, do you think one day you could do some 3D models of props/animals? Sometimes it's kinda hard to find good and free 3D decorations for levels. Seconded! Your work has done so much to help many of us, especially just starting out with no art skills. Keep up the great work Kenney! Question: Is the lighting hand painted or from the engine? Very nice models! I would prefer the origin to be placed at the bottom of the tree tunks but I can edit it myself.